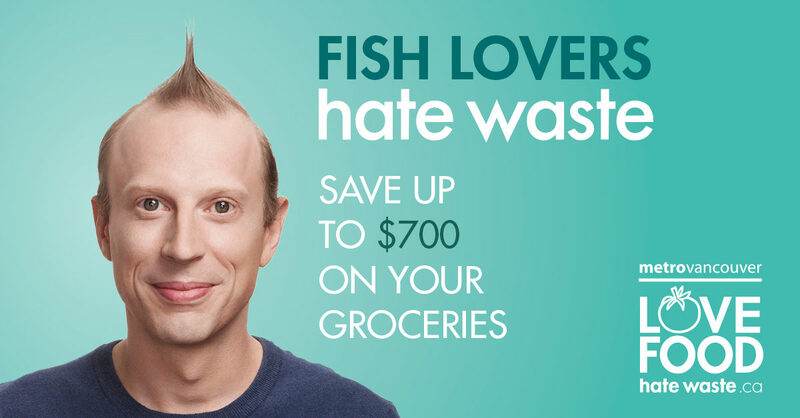 Love Food – Hate Waste: Save up to $700 on Groceries! The easiest way to save on groceries – eat more of the food that you buy! Did you know that a typical Metro Vancouver household tosses out over $700 worth of perfectly good food a year? And most people don’t even realize they are doing it. 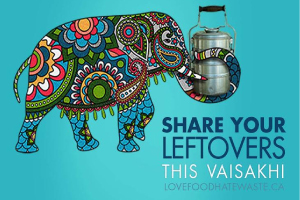 Metro Vancouver’s Love Food – Hate Waste campaign provides you with really simple ways to reduce that food waste – starting right now. The best way to use all of the food you purchase is to know how that food will be used before it can spoil. Love Food – Hate Waste will help you get there, starting with simple ways to keep your food fresher for longer. How simple? How about knowing the different temperature zones in your fridge? Their #FoodHacks answer questions like should you store fruits and vegetables together. And their Kitchen Basics videos will help you sharpen your culinary skills. 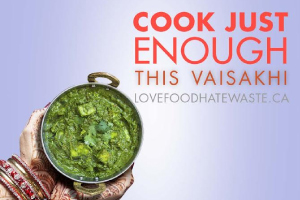 If you do have bits of food to use up, the Love Food – Hate Waste web page has lots of ideas to search for help. Their free menu sets and recipes even calculate how much of each ingredient to use to minimize leftovers. Just tell them how many adults and kids you are serving and the web site will do the math for you. Or you can use the free portion planner for #nofoodwasted.